﻿ Pro-Polygamy.com ™ - FLDS is far more "Mormon sect" than "Polygamist sect"
The national polygamy rights movement has never had anything in common with the Fundamentalist Church of Jesus Christ of Latter Day Saints – i.e., the FLDS - and its convicted criminal "prophet" Warren Jeffs - excepting only polygamy. Even the way in which the FLDS apply polygamy is not in common with the consenting-adult movement around the country. Indeed, the FLDS are not even involved with the movement for polygamy rights of consenting adults. When people isolate themselves in a sect, they are not part of any movement – precisely because they have isolated themselves. It is a no-brainer. But most news manufacturing outlets continue the deceptive insanity of portraying the FLDS, a self-isolated Mormon sect, as if they somehow represent the movement for polygamy. The FLDS do not. A movement involves activism and at least someone being a professional advocate, all working together to publicly vocalize their values for political support. The people build organization of like-minded supporters in the public. They purchase advertising. They develop web-sites. Their professional leaders give media interviews. They issue press releases. They promote their values in the public marketplace. 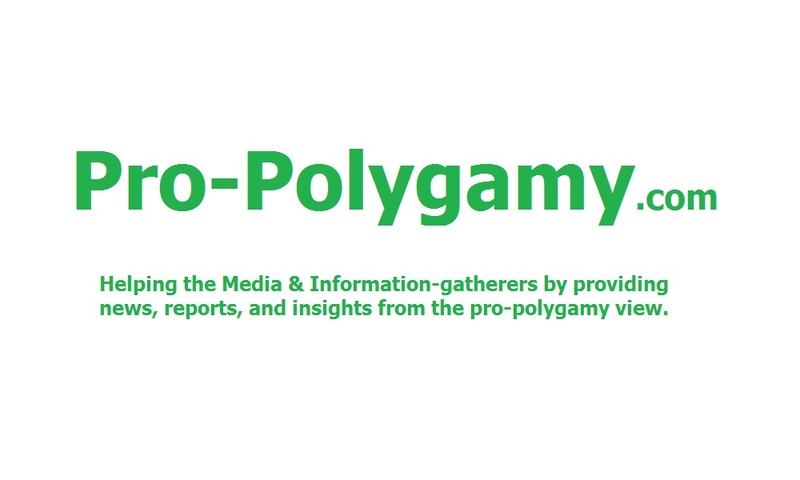 For polygamy rights, the TruthBearer.org organization has done all those things. 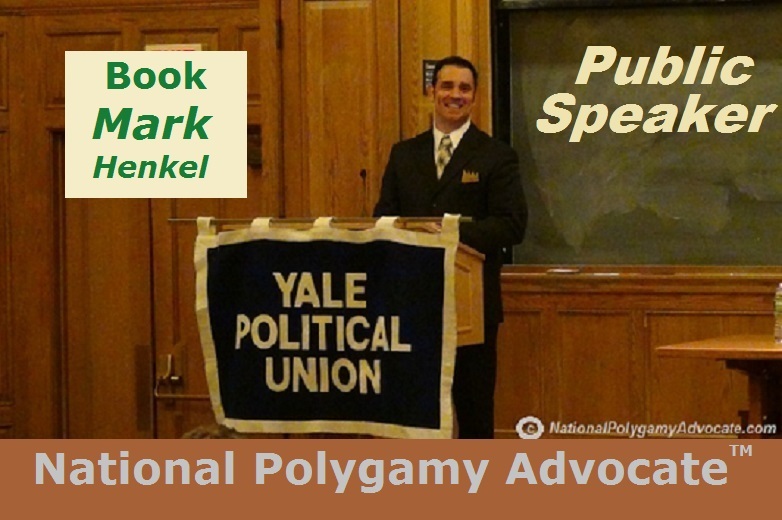 The organization’s founder, the National Polygamy Advocate, Mark Henkel, has undoubtedly been at the forefront, providing numerous media interviews and promotions. His sound-bite, "'Polygamy rights' is the next civil rights battle," is now famous. But where are the FLDS doing anything for polygamy rights or even for their religion? Where is their advertising? Where is the FLDS web-site? Where are any FLDS leaders giving media interviews? Where are their press releases? Where have they done anything publicly to promote their values? It is precisely because the FLDS have intentionally isolated themselves that they have not done any of these things. Clearly, having done nothing but self-isolate themselves, the FLDS do not represent anything about the movement for polygamy rights. They are not even a "movement" at all, much less representative of a polygamy movement. And they have far more in common with "mainstream" Mormons than polygamists. It is true that "mainstream" Mormons reject arranged and underaged marriage. But it is equally true - despite many news manufacturing outlets’ intentional silence about it - that normal consenting-adult polygamists around the country adamantly oppose those issues too. Indeed, the FLDS stand alone on those two issues. 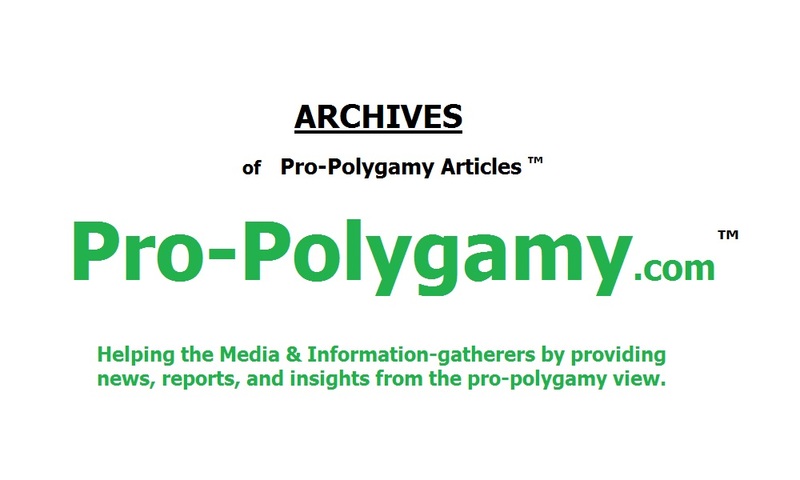 While the "mainstream" Mormons and consenting-adult polygamists typically only share their similar opposition to those issues together, they do not share a commonality together on much of anything else. In reality, the FLDS are simply fundamentalist Mormons who have isolated themselves as a separate sect, holding fast to the Mormon religion as it was first created in the 1800s. Their theologies, hierarchies, “prophet” leadership systems, and religious beliefs mostly mirror that of the so-called "mainstream" Mormons. Aside from the issues of polygamy (and how they apply it with arranged and underaged marriage) and their "selection" of individual to be their "prophet" leader, the FLDS mostly share everything else in common belief with the "mainstream" Mormons. Clearly, the FLDS have far more in common with all Mormons, Mitt Romney, and any other well-known Mormon, than they could ever be considered having in common with the national polygamy rights movement for consenting-adults. Ergo, it is a much, much deeper journalistic accuracy to define the FLDS as "Mormon" than "polygamist." Clearly, as the FLDS are self-isolated and are therefore doing nothing to promote polygamy, it is an outright fraud for any media to present the FLDS as if some legitimate example of polygamy, polygamists, or the polygamy rights movement. And because the FLDS clearly share vastly more in common with Mormons than polygamists around the country, it is also an outright fraud for any media to identify them as a "polygamist sect" rather than as a "Mormon sect." The FLDS do not represent polygamy. Period.